Highways England has opened the first phase of a new stretch of smart motorway between junction 16 and 19 on the M1 as part of a wider government investment. The four-lane section between junctions 16 and 17 is now open to traffic, with further stretches of the new smart motorway between Catthorpe at junction 19 and Northampton at junction 16 due to open over the coming weeks. This project is part of the larger M1 junctions 19 to 13 smart motorway project, which is targeted to be completed by 2021-2022, as set out in the 2014 Road Investment Strategy, and follows the opening of the M3 smart motorway four months ago despite ongoing concerns over their use. 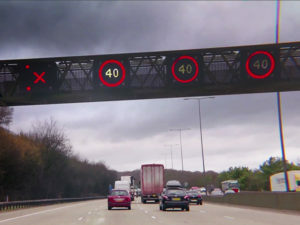 Research earlier this year found that although smart motorways are becoming increasingly common across the UK, millions of motorists are unaware what to do in the event of an emergency on them. According to the research by the RAC, 52% of those surveyed did not know what an emergency refuge area on a smart motorway was or that they should be using them in the event of a breakdown or an accident in the absence of a hard shoulder.